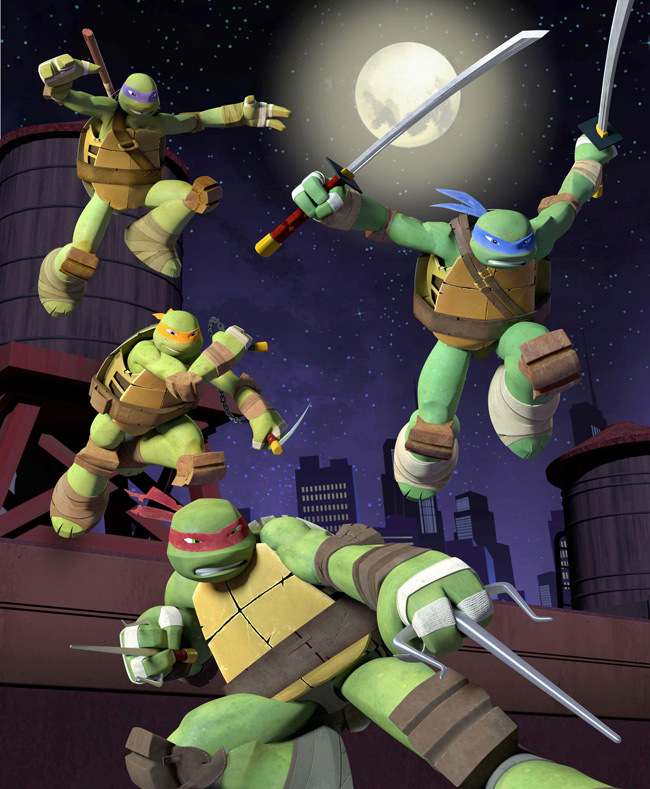 NEW YORK, Oct. 2, 2012 -- Leonardo, Raphael, Michelangelo and Donatello – aka the Teenage Mutant Ninja Turtles – made a triumphant return to television in their new Nickelodeon series premiere this weekend (Saturday, Sept. 29, at 11 a.m., ET/PT), ranking as the week's top telecast with kids 2-11 (6.2/2.1 million) and boys 6-11 (8.2/837,000) across broadcast and cable TV, and the number-one kids program on basic cable with total viewers (drawing 3.9 million) for the week. Additionally, the new CG-animated version of the series hit a ratings high for Nickelodeon with boys 2-11 (7.5/1.3 million), and was the network's top-rated premiere for an animated series since 2009. During its premiere weekend the series reached nearly 12 million total viewers. BLOOMINGTON, Minn., March 17, 2012 -- Fans dressed as Teenage Mutant Ninja Turtles united in Mall of America to break the GUINNESS WORLD RECORDS largest gathering of ninja turtles and celebrate the grand opening of the newest thrill ride at Nickelodeon Universe, Teenage Mutant Ninja Turtles Shell Shock, the first ever ride of its kind in the United States. 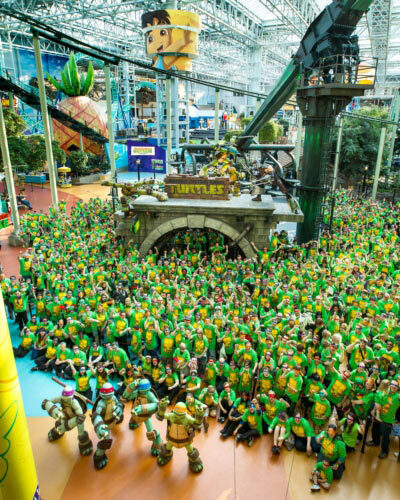 Fans from across the nation traveled to Mall of America to shatter the previous record of 786 with 836 fans dressed as ninja turtles. The Mall welcomed guests with commemorative Teenage Mutant Ninja Turtles t-shirts, face masks and free passes to check out the ride.